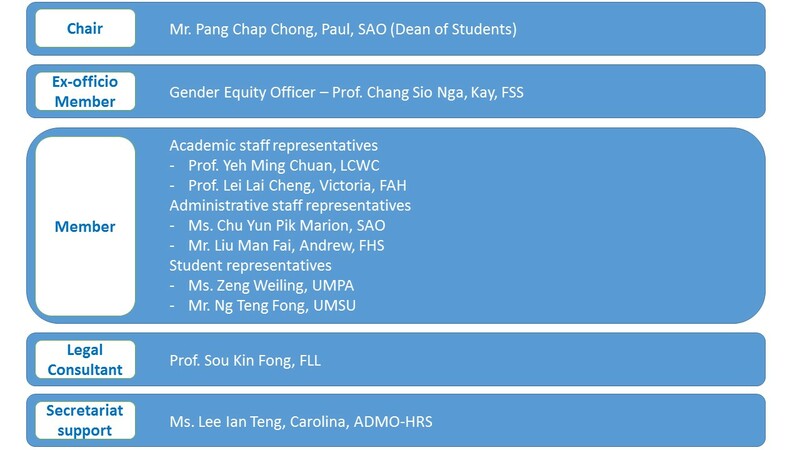 The Committee on Gender Equity (CGE) was established in Mar 2015 to oversee the efforts in the University to advance gender equity. Chaired by the Dean of Students, who reports to the Rector, the CGE is composed of representatives of academic staff, administrative staff and students. To assist in instituting and implementing the University’s gender equity initiatives.